Venue: Gotha Club Dubai, Ground Floor, Radisson Blu Hotel Dubai Waterfront, Dubai, United Arab Emirates. Tickets: Male Entry After 12AM - AED 150.0. GOTCHA - The American Gangster Edition featuring Idris Elba! 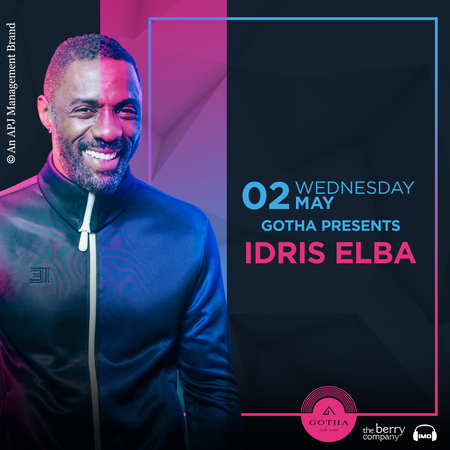 Gotha presents Gotcha - The American Gangster Edition, in celebration of the legendary Idris Elba! Expanding his career from the big screen after having starred in movies such as Thor, The Avengers and American Gangster, don't miss the multi-talented man himself as he shows off his DJ/Producing skills while spinning our decks on May 2nd! Are you ready to "Dance Off"? !